"I hope the field of computer science never loses its sense of fun." 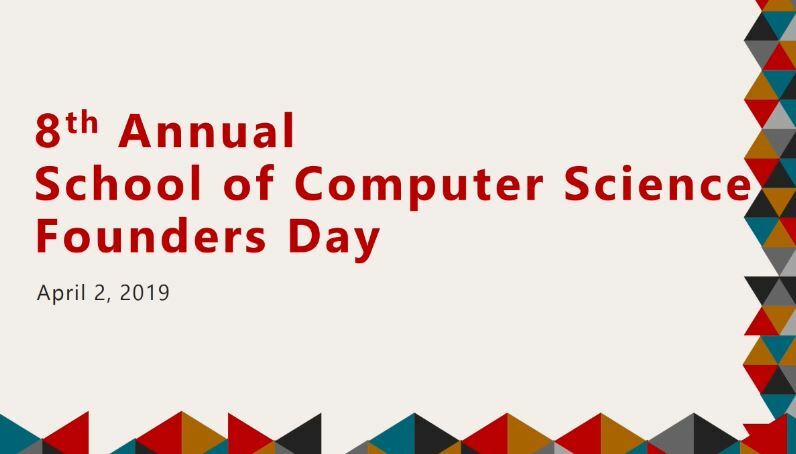 Every spring, the School of Computer Science honors outstanding faculty and staff members during the annual Founders Day ceremony in Rashid Auditorium. It is a time for sharing our collective efforts, recognizing the good work of faculty and staff, as well as looking towards the future of SCS. The eighth year of the event took place on April 2, 2019 and was hosted by Tom Mitchell. Joel and Ruth Spira Teaching Award (sponsored by Lutron Electronics Co.): Mor Harchol-Balter, Professor in the Computer Science Department (CSD), recognized for excellence in the classroom. Herbert Simon Award for Teaching Excellence in Computer Science: Anupam Gupta, Professor in the Computer Science Department (CSD), as selected by SCS students. A. Nico Habermann Educational Service Award: Kit Needham, Senior Business Advisor in the Computer Science Department (CSD), recognized for outstanding teaching and contributions to the educational experience within SCS. Rookie of the Year: Diana Rotondo, Administrative Coordinator for the Human Computer Interaction Institute and Ashley Song, Senior Administrative Coordinator in the Robotics Institute. 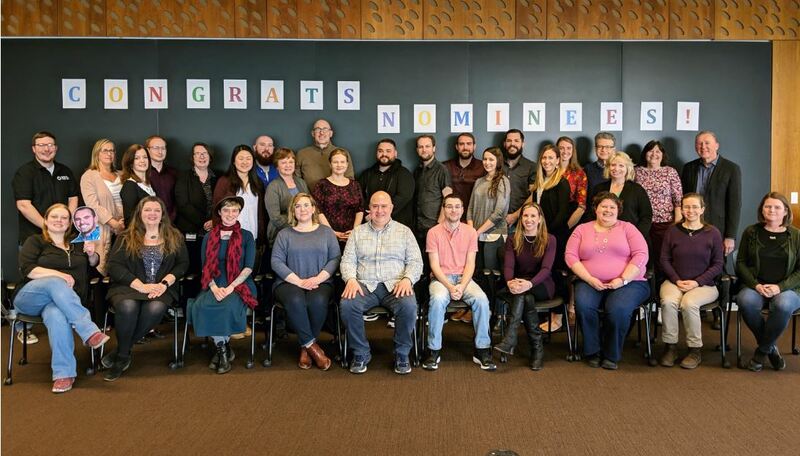 Outstanding Staff Award: Nick Frollini, Deputy Director in the Institute for Software Research and Jenny Belardi, Director of Development in the SCS Dean’s Office. Individual Dedication Award: Elizabeth Roberts, Applications Coordinator in the SCS Dean’s Office. Teamwork Award: Erin Cawley, Program Manager for the CS Academy in the Computer Science Department. Sustained Excellence Award: Queenie Kravitz, Associate Director of the Human Computer Interaction Institute PhD Program. “...the Ultimate Team player, he will bend over backward to help you out. He will not let you fail!...proactive in finding ways to improve our processes and communication with the vendor and customers...someone we can depend on to always exceed expectations..."
“They work in such a harmony to create media contents...these efforts increase our visibility and help us communicate our research..."
“...professional, personable and very dedicated to the success of the CS Department...hard-working and a great asset..."
“Jonathan does the impossible every single day...If I know a superhero, it's him." “...someone I look up to...great to work with and has a good sense of humor. I don't know how she does it!" “Her wisdom...shines through in the initiatives and efforts she has introduced to the department...Queenie is a person without shadows, only light...superhuman powers of patience, generosity, and fierce dedication to the HCII..."